Iwate volcano is a symmetrical stratovolcano in northern Honshu, Japan, 20 km northwest of Morioka City. It consists of 2 cones, the older western Nishi-Iwate and the younger eastern summit Higashi-Iwate. The older volcano to the west is truncated by a caldera that resulted from repeated collapse. The caldera contains a central cone with a 500 m wide crater containing a lake and is breached by a narrow gorge to the NW. Volcanic activity migrated to the east and built Yakushi-dake, the young, mainly basaltic summit cone of Higashi-Iwate. Yakushi-dake contains a 500 m wide crater and partly buries the eastern rim of the caldera. 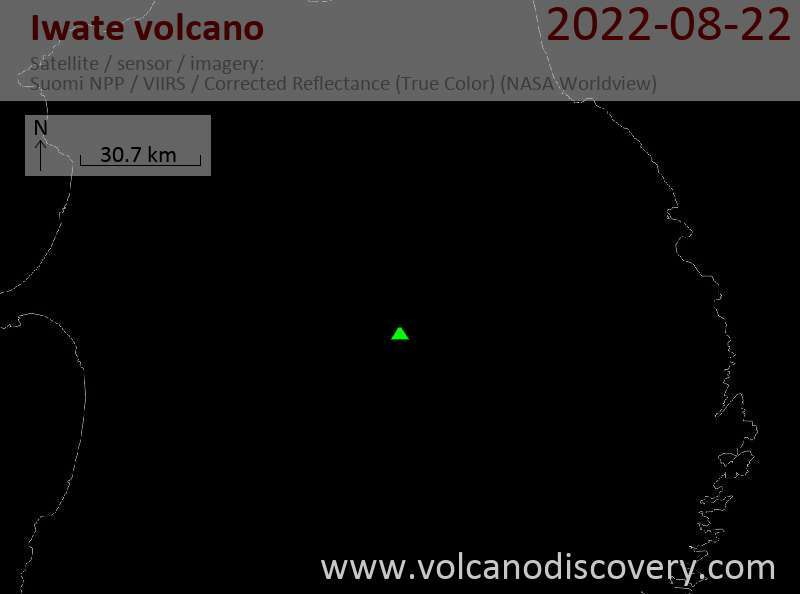 It is the vent of most recent activity including a lava flow from the eruption in 1732 that traveled down the NE flank. 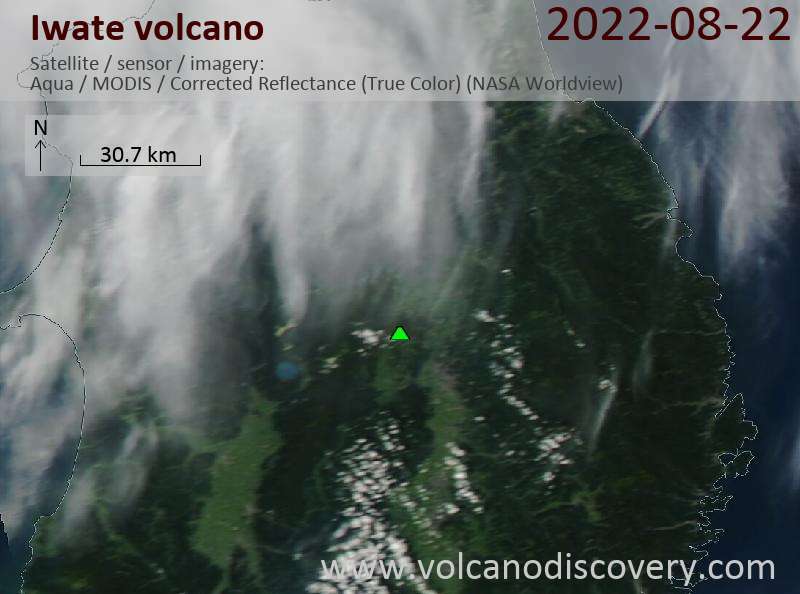 The last historic activity was a small phreatic eruption from O-jigokudani on the W side of the Onigajo caldera. The eruption caused mudflows. There are uncertain reports about activity in July 1934.